You must be a member of the Turin Cinema with Friends Group to attend this activity. Would you like to join this group? 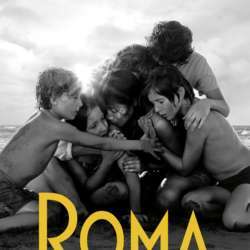 Rome, the film directed by Alfonso Cuaron, tells a turbulent year of the life of a bourgeois family in Mexico City in the 70s, through the events of the maid Cleo (Yalitza Aparicio) and her collaborator Adela (Nancy García García), both of whom Mixteca descent, who work for a small bourgeois family in the Rome district of Mexico City, a family led by Sofia (Marina de Tavira), mother of four children, who has to deal with the absence of her husband, while Cleo faces a devastating news that threatens to distract her from taking care of the children of Sofia, whom she loves as if they were their own. Rome is a portrait of real life, intimate and touching, told through the story of a family that tries to preserve its balance in a moment of personal, social and political struggle.